This video is from the fellow Paddle Canada sea kayak instructors at SKILS, Sea Kayak Leadership Instruction, a great company out of BC (Michael of SKILS was my co-instructor-trainer for my instructor course). Since the kid in the video is nearly the same age as my older daughter, I find this video pretty awesome. Time to rent some pool time for the family! Read more: 11-Year Old Rolls! Most of the 2014 Spring slate of lessons is now published on the website (through to the end of June). Check out the Lessons tab to see the details of the various lessons on offer, and to register for any course. Last year courses filled up fast so don't be disappointed, register soon. Still to come are some lessons for kids and families, a National Paddling Week event, and summer lessons. 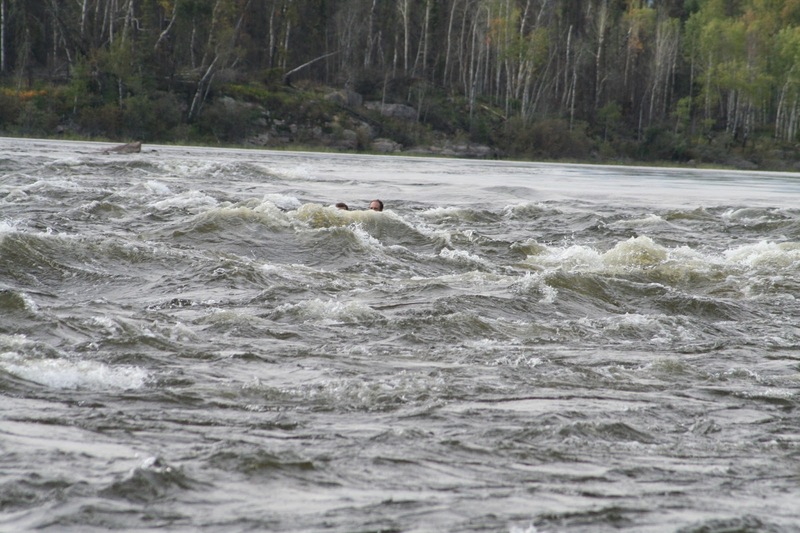 A while ago over on my Northstar Expeditions blog I posted a series of photos showing myself and my friend Jay running Otter Rapids (Churchill River, northern Saskatchewan) in a canoe in 2007. 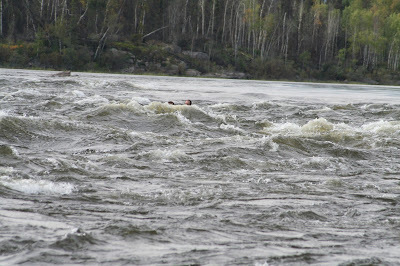 It's an awesome series of photos taken from shore and really shows the fun to be had in Otter. One of these days I'm going to run it in my 18' Sea Kayak. No, we haven't sunk in this photo (yet), we're merely in the trough between waves. Head to the full post to see the rest of the photos and learn the outcome of these brave adventurers.